Earlier in March 2017, the Kahoku Shimpo , a Japanese daily newspaper covering northeastern Japan, documented the progress that has been made over the past six years to reconstruct the lives of people affected by the March 2011 “triple disaster”  of a massive earthquake, tsunami and the Fukushima nuclear accident. The Kahoku Shimpo is headquartered in Sendai, Miyagi Prefecture, which was one of several prefectures in Japan's northeast that experienced both the earthquake and the resulting tsunami . Hundreds of thousands of people Miyagi and its neighbors Fukushima and Iwate were forced to evacuate as the tsunami wiped entire coastal cities off the map. Fukushima Prefecture also experienced a nuclear accident that, alone, forced 160,000 residents to be evacuated  from their homes. Six years on, the Kahoku Shimpo's special coverage provides a local perspective on what progress has been made rebuilding the lives of people living in the region. The newspaper's in-depth feature includes statistics from Japan's Reconstruction Ministry  as well as surveys of evacuees themselves. The Kahoku Shimpo reports that as of December 2015, 77 per cent of planned replacement housing  (災害公営住宅, saigai kouei juutaku) has been completed in Fukushima, Miyagi and Iwate prefectures. Of the three prefectures Miyagi has experienced the most success, with 80 per cent of planned replacement housing completed. Iwate Prefecture has completed 75 per cent of such housing, while Fukushima lags behind at 70 per cent. At the same time, six years on there are still efforts to move evacuees from prefabricated temporary housing (仮設住宅, kasetsu juutaku) to permanent replacement housing. Following the triple disaster, nearly 80,000 people were forced to live in temporary housing . As of December 2016, there were still 36,000 people from Miyagi, Fukushima and Iwate living in such housing. The Kahoku Shimpo found that 1,074 of 1,100 (or nearly 98 per cent) of schools  in three prefectures affected by the March 2011 disaster had been reopened by December 2016. Six years on, it's clear that rebuilding industry in the three prefectures has been more difficult. 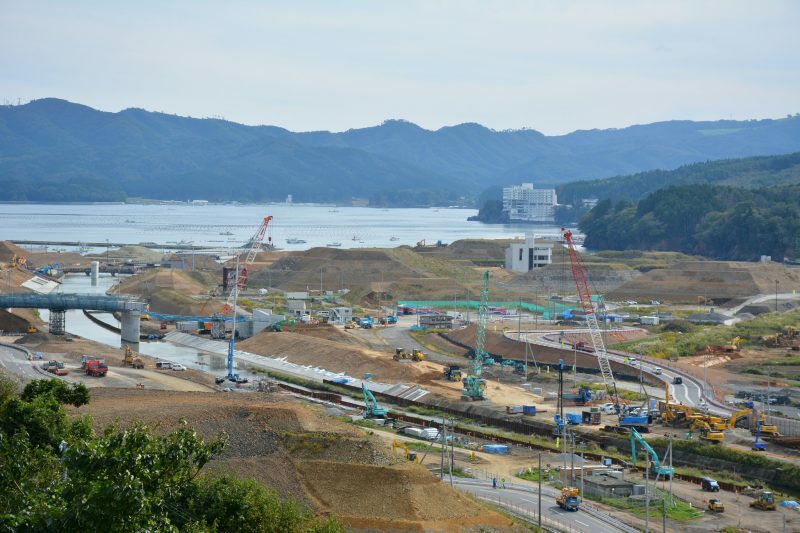 While close to 100 per cent of fishing ports  in Iwate and Miyagi are now operational, just 30 per cent of fishing ports have reopened in Fukushima. The tsunami and nuclear accident affected a large area of agricultural land  in the three prefectures. Miyagi has been able to rehabilitate 93 per cent of affected farmland, while just 66 per cent of farmland in Iwate and less than 50 per cent of farmland affected by the disaster in Fukushima has returned to use. Tourism has largely rebounded  in two of the three prefectures, but, once again, Fukushima still lags. Tourist visitors to Iwate and Miyagi have returned to about 90 per cent of pre-disaster levels, while the number for Fukushima is just 75 per cent. However, the Kahoku Shimpo also reports that nearly half of people in coastal settlements feel that earning a livelihood has gotten tougher since the disaster . Out of 160,000 evacuees from Fukushima, nearly 63,000 people were evacuated outside of the prefecture itself. By early 2016, a little more than 23,000 people  had been relocated to permanent replacement housing back within Fukushima. As of 2017, approximately 40,000 Fukushima citizens  still reside outside of their home prefecture. The majority of evacuees from all areas affected by the disaster who are still living in temporary shelter are over the age of 50 , and it's thought one obstacle to moving them back into proper housing is that efforts to rebuild Miyagi, Iwate and Fukushima prefectures are competing against massive construction projects that are part of the 2020 Tokyo Olympics .